Our century greatly needs autonomous, agile, and human-centered robots that are able to operate in human-populated environments, maneuver in remote and cluttered environments, take care of our health, and streamline manufacturing and assembly lines. However, computational issues limit robots’ ability to plan complex motions in constrained and contact-rich environments, interact with humans safely, and exploit dynamics to gracefully maneuver, manipulate, fly, or explore the oceans. My talk will discuss new computational approaches necessary to enable agile and human-centered robots with a special focus on robust optimal motion planning of highly agile legged locomotion over rough terrain. This planning approach revolves around robust hybrid automaton, disturbance metric defined by phase-space manifolds, dynamic programming recovery controller, and online foot placement re-planning for execution in real systems. Extending this motion planning approach to generalized multi-contact locomotion behaviors, I will describe high-level reactive task planner synthesis for whole-body locomotion interacting with constrained environments and how to integrate formal methods for mission-capable locomotion. This talk will also present recent progress on risk-sensitive trajectory optimization algorithm without enumerating contact modes and capable of handling contact uncertainties. Then it will outline my research on distributed whole-body operational space control and impedance control for latency-prone robotic systems. This talk will end with a few future directions, including agile and multi-contact legged locomotion, real-time planning in the contact-rich environment, and collaborative humanoid robotics. 2016, where he also obtained the UT Robotics Portfolio degree and was a member of the Human Centered Robotics Laboratory. He received his bachelor degree from Control Science and Engineering at Harbin Institute of Technology in 2011. 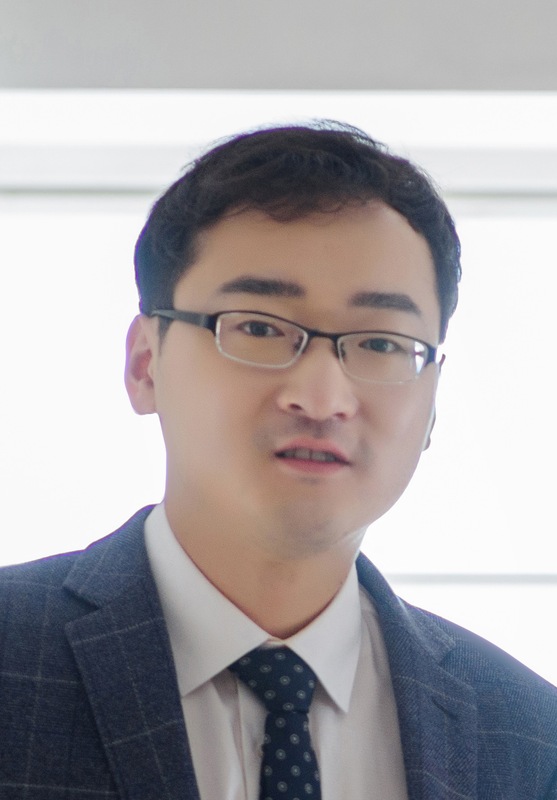 His research interests lie broadly in planning, control, and optimization algorithms of highly dynamic, contact-rich, and human-centered robots. He is especially interested in challenging locomotion and manipulation problems with formal guarantees on robustness, agility, real-time, and autonomy. Ye’s co-authored work has been recognized as the 2017 Thomson Reuters Highly Cited Paper and 2016 IEEE-RAS best whole-body control paper and video award finalist. He serves as an ICT Chair of IROS 2018 and was a Co-Chair of the IEEE-RAS Student Activities Committee in 2016.